If you’re like me, you’ve spent countless hours scrolling through Netflix, trying to find the perfect show to watch. According to one estimate, adults make as many as 35,000 decisions in a day. Most — like picking a show on Netflix — are “throwaways,” with few long-standing consequences. Others — a big move, a career change, a new relationship — can shake up the trajectory of your life. In many ways, making a decision is like gambling: you assess your options, draw upon past experiences and analyze the current situation to predict the best choice. 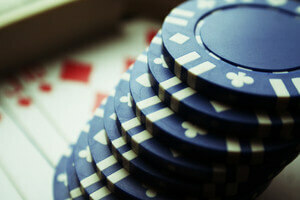 Yet the optimal choice — call or fold — in one game may not be the same in a different game. Who you’re playing with, how you’re feeling that day, how your winnings have been so far — that is, things you’ve experienced immediately before the choice — could all influence your decision. Sometimes you may even need to completely switch up your usual game play for the best chance to win. In other words, context matters. And when context changes, under the hood, we somehow manage to integrate the new, updated information into our decision-making process to help us reassess the situation and make the better choice. It’s an incredibly nifty skill, and one we don’t really understand. Now a new study published in eLife pinpoints the powerhouse underlying this type of rapid online learning in the brain: the mediodorsal thalamus (MD). Unlike the cortex or “memory center” hippocampus, the MD doesn’t get a lot of press. It’s a tightly packed group of neurons seated deep below the wrinkled surface of the brain. Although primitive in origin, the MD boasts a heavy bundle of neuronal fibers that go straight to the prefrontal cortex (PFC), the “seat of human intelligence” that lies beneath our foreheads. The PFC is without doubt a neuroscience superstar. It harbors a walnut-sized nub, the lateral frontal pole, which acts like a mental sketchpad that lets us plan on the fly. Working with other structures in the PFC, it helps us rethink our decision when the context changes. One more cool thing: the lateral frontal pole is unique to humans, and according to some scientists, gives us the upper hand in tasks that require multitasking, strategic planning and decision making. But no brain region acts alone. And the fact that the MD heavily connects to the PFC points to the unglamorous, understudied underdog as another potentially critical hub in the decision-making network. One of the pinnacles of higher reasoning is “learning as you go,” that is, incorporating new information into the decision-making process, the authors of the new study explained in the paper. This was previously attributed to the PFC, but there’s not a lot of data to support the idea. What if the MD was responsible for that aspect of decision-making? So that’s what they set to find out—with the help of 10 macaque monkeys. The team first trained the monkeys to choose between three colorful images displayed on a touchscreen monitor. Some of the choices resulted in the monkeys getting a tasty food pellet. But as the test progressed, the probability of getting a food reward after picking a particular image constantly changed. In some cases it even reversed, so that the highest rewarded image was no longer rewarded. At first, the monkeys had a hard time figuring out the rules of the game. But soon they began picking out the image that gave them the largest reward and quickly changed their pick when the previous best choice was no longer optimal. Next, the scientists used a chemical toxin to irreversibly damage the MD of three monkeys. They then repeated the test. If the MD functioned like the PFC, the monkeys would be “stuck” in their decision, unable to pick another image even when the reward probabilities change. “Previously, some had thought that in these cases the monkeys would just keep repeating the same choice as before,” says senior author and Oxford researcher Dr. Anna Mitchell, in a press release. Instead, monkeys with MD damage could shift their decision — just not to the right one. Although the monkeys still stumbled across the highest rewarded image by chance, on the next trial, they seemed to completely forget that image was the new best choice. In other words, the new information didn’t stick. When researchers looked closer at the data, they found that the monkeys’ short-term memory wasn’t damaged. If the monkey had previously picked an image that consistently gave them a reward, they could still pick it out post-op. They just weren’t able to scribble down new image-reward associations in their mental sketchpad. Because of MD damage, explained the authors, the monkeys kept on sampling the available options. Rather than sticking with one image, they constantly rotated their picks across all options. We believe that the MD is critical to facilitating an appropriate balance between exploration and exploitation, wrote the authors. We believe it helps with re-selecting a different choice and sticking with the optimal choice once it’s been found. The authors are still deciding on the next step in research, but they’ve narrowed down their optimal choice to a few candidates. We’ll keep on mapping the brain’s decision networks, Mitchell noted. In addition to the PFC, the MD also connects to a few other brain regions that haven’t been previously studied for their roles in decision-making. 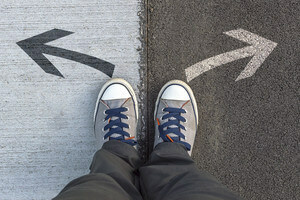 “Further studies are now needed to understand the messages that are relayed between the MD and interconnected areas during this rapid linking of recent choices, rewards and upcoming decisions,” wrote the authors in the paper. The winnings from such research could be plentiful. Parsing out the specific roles of brain regions involved in the decision-making network could offer insight into conditions in which the process breaks down. Essentially, all psychiatric disorders involve abnormal decision-making, and it’s a core symptom in addiction, eating disorders, obsessive-compulsive disorders and schizophrenia, says Dr. Ralph Adolphs, a psychologists at Caltech who was not involved in the study. The research could also potentially give cognitively healthy people a mental boost. By gaining insight into the brain networks that underlie decision-making, says Adolphs, we could potentially learn to more efficiently make better choices.